Roberto Carrasco: Bethenny Frankel's Skinnygirl Sparkler's Review! how awesome is this! 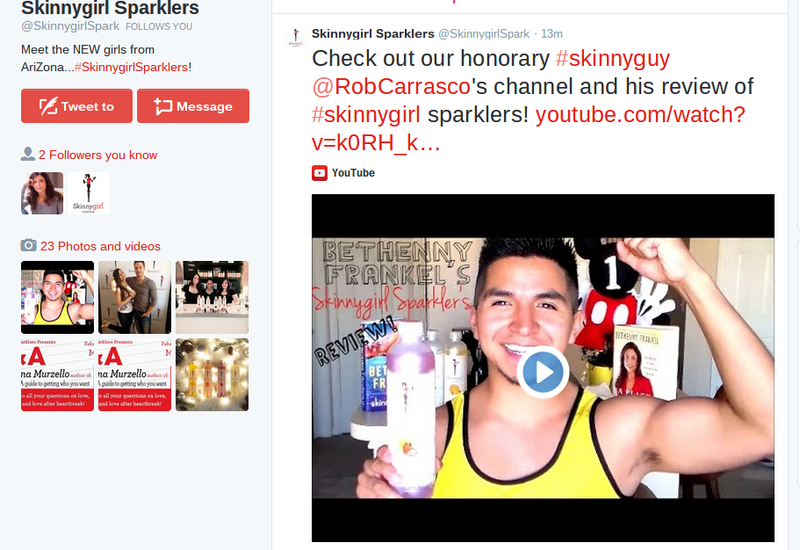 skinnygirl sparklers tweeted my video and im a skinny guy! #skinnyguy for life i love bethenny! have you seen my video review yet? watch it here Skinnygirl sparklers Review just click the link and tada or watch my video bellow! im so excited i started running arounf the apartment and screaming to lucy!